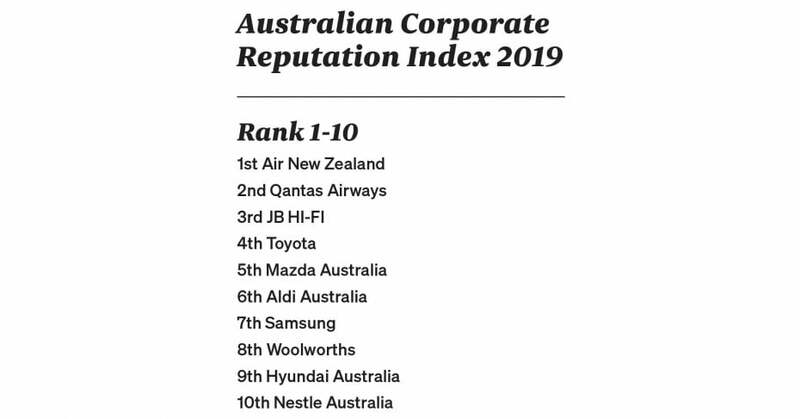 Air New Zealand has become the first to achieve a 'threepeat' in the Reputation Institute's Australian Corporate Reputation Index. "Air New Zealand is in the business of world-class journeys and maintaining such an outstanding performance year in, year out, is down to the incredible efforts of our people to push boundaries and continually enhance all aspects of our customer experience. "Customer focus underpins reputation leadership. We maintain our leading position by continuing to invest in our aircraft, products and services and by bringing genuine Kiwi warmth to the 17 million journeys we're part of every year." To download the below broadcast quality video of Christopher Luxon speaking on the number one result click here. Air New Zealand is multi-award winning international airline which delivers uniquely Kiwi journeys to more than 17 million customers who fly to, from and within New Zealand each year. The airline offers year-round services from New Zealand to Sydney, Brisbane, Melbourne, Adelaide, Perth and Coolangatta, as well as seasonal flights to Cairns and the Sunshine Coast. The airline operates on average more than 3,500 flights each week, connecting customers to 20 destinations within New Zealand and to international ports across Asia, Europe, Australia, North and South America and the Pacific Islands. For more information, visit airnewzealand.com.au or follow the airline on Facebook or Twitter.